Tokyo Telemessage, the only pager service provider left standing, said it had decided to terminate its service to Tokyo and three neighbouring regions in September 2019—describing the development as "very regrettable". 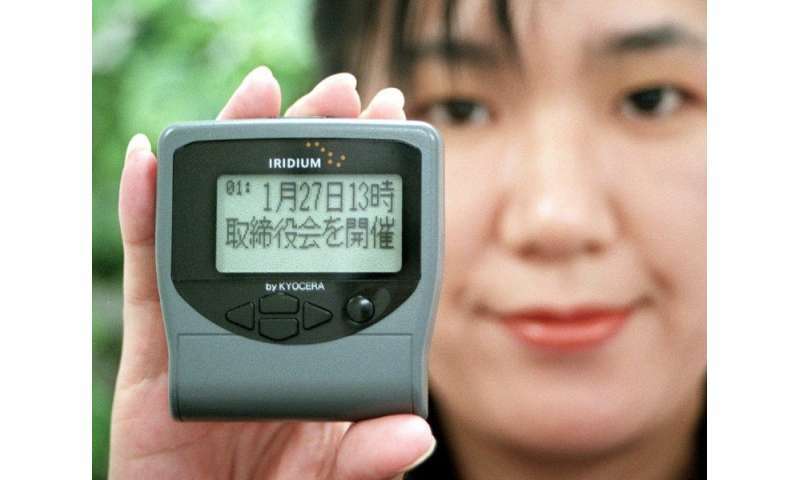 Pagers—known as "poke-beru" (pocket bell) in Japan—became very popular in the 1990s especially among high school girls obsessed by their primitive text messaging functions. On the one hand, Japan is a land of high-tech and futuristic gadgets but can also sometimes be bizarrely old school—for example, faxes are still routinely used as a method of communication. When the last North Korean missile flew over Japan, one of the more surreal moments was TV footage showing Prime Minister Shinzo Abe learning about the emergency—on his flip-phone.